Dessert Darling Dessert Darling Page 2 | Dessert Darling - Part 2 HealthyDarling.com post, I’ve been pretty excited about the launch of my friend’s site, HealthyBatch.com. Healthy Batch is a flash sales site (like Fab) that features organic products at discounted rates. Amazing! I immediately ordered these Chocolate Nut Munch bites and they arrived the very next day. What What?! 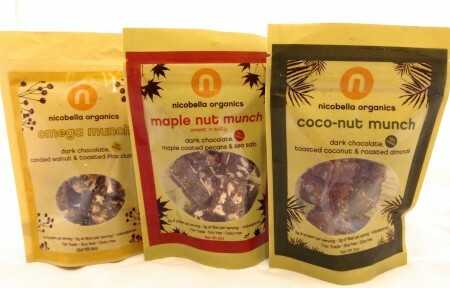 The order came with all three flavors- Omega Munch, Maple Nut Munch, and Coco-nut Munch. 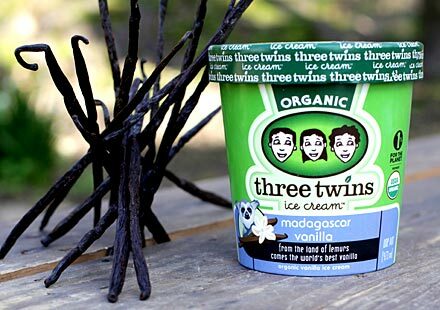 All of the selections are Fair Trade 75% dark chocolate, and contain protein, fiber, and antioxidants. Additionally, they are soy-free, dairy-free, and gluten-free. Wow. With their deep, dark chocolate and refined ingredients, these bites are definitely suited for a sophisticated palette. While they’re not the most decadent dessert in the world, I have to give 5-cherries for making something so historically sinful, both delicious and healthy. 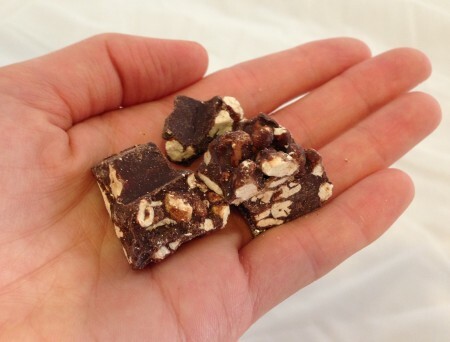 To order Chocolate Nut Munch on HealthyBatch.com, click here. Last Monday I wrote this scathing review of Vosge’s Bacon Chocolate Bar. 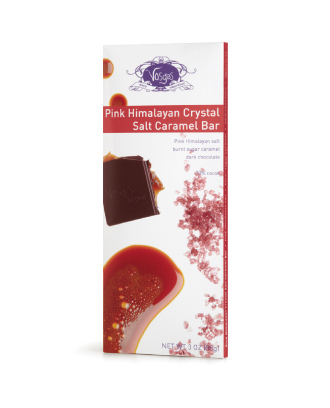 Vosges has quickly gone from zero to hero with their Pink Himalayan Crystal Salt Caramel Bar. Yes, that’s a just really long way of saying “salted-caramel bar.” But hey, they figure they can charge $7.50 per bar with a fancier name. Marketing aside, this bar really does delight with its high quality, 70% cacao chocolate, and salty-sweet, drizzling caramel. 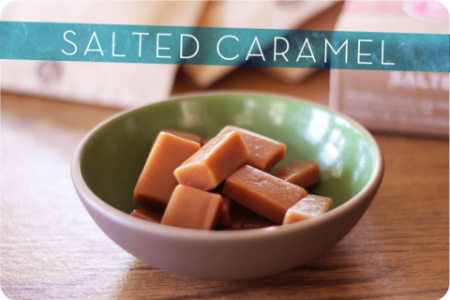 Warning, the caramel can make things messy if you don’t eat a whole square at a time. This designer chocolate bar would be great for gifting (on top of a gift, on it’s own, or as a stocking stuffer). Yummy. For more information on Vosges chocolates, click here. Healthy Super Bowl Dessert to Cheer the Niners to Victory! YEA!!!! 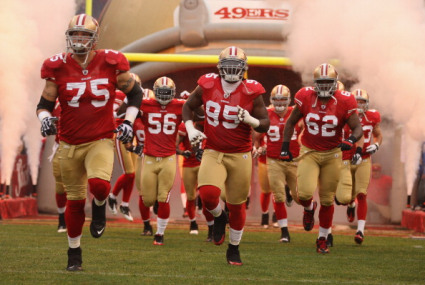 Today I’m flying to New Orleans to watch the 49ers go the distance at the Super Bowl- How exciting! Good thing this isn’t the early 2000s, or else I’d be bummed I was missing the Britney Spears commercials (ha). While I won’t be attending any home parties this year, I still recommend these darling Chocolate Covered Strawberries. 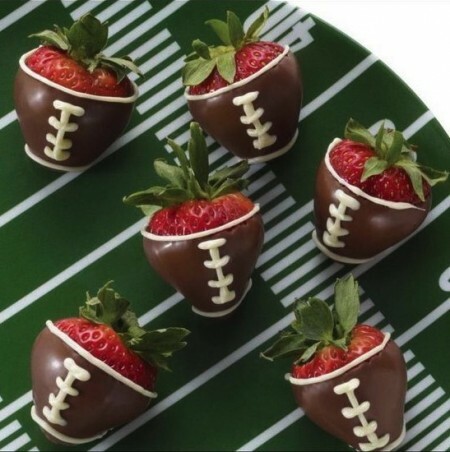 These treats are festive, delicious, and practically a health food compared to the other items that abound at Super Bowl parties. Bleck. I love chocolate and I love bacon, so I thought that these sinfully delicious ingredients together, in Vosges Haute Chocolat’s “Mo’s Dark Bacon Bar,” would yield a hot love fest. Oy, more like hot mess! Truly, I’m grimacing as I write, trying to disintegrate the aftertaste of bad bacon with sweet cocoa. While the ingredients look fine enough with uncured pork seasoned with sea salt, white pepper, and celery juice (eh? ), I almost think they should have just fried up some crispy strips of Oscar Mayer for a familiar and pleasing result. Ironically, the bacon in this bar tastes artificial or bad, like the shredded, unwanted bits that you find waiting around at a salad bar. This bar’s only saving grace is the 62% cacao, high quality chocolate. But at $7.50 a pop, the Dark Bacon Bar is a complete Pass! AhhhH! Ohmygod!!!! I was DYING when my husband surprised me with this special Birthday Cake. Just look at how darling, cute, and adorable it is! To explain, this is a photo of our dog, dressed up as a seal. Best part? There is glitter on Charlie’s little outfit! Yes, leave it to Cake and Art (2011 Golden Cherry winner: see here) in West Hollywood to add that extra touch of magic. It says: “Happy Birthday Mommy: Daddy and I Love you! 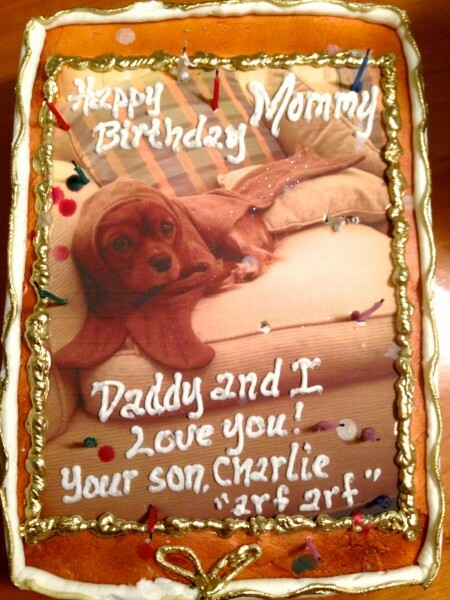 Your son, Charlie ‘arf arf. '” So freaking cute. 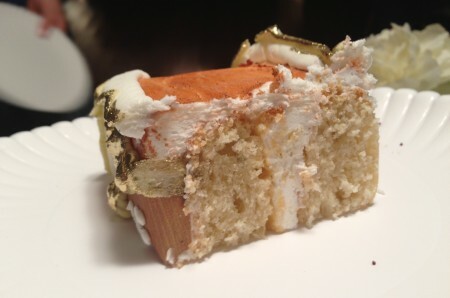 Cake and Art’s signature vanilla frosting with a hint of amaretto is totally delicious. However, the gluten free cake is still a work in progress. I know they’ve been tinkering with some recipes, but I’m not sure they’ve hit the money spot yet. Making Gluten Free cake is no easy challenge, but I know Cake and Art will rise to the occasion and get it perfect soon. The flavor was great, but the consistency was too dry and firm. That said, I still adore this cake bakery to smithereens. I mean, there’s Glitter on my dog! My friend B-side Ben once declared the buttermilk donut from Tasty Donuts to be, quite possibly, the “best donut in Los Angeles.” Wow, that was a bold statement and required a joint venture follow-up. Ben came over with donuts in hand, yet panic on his face. Apparently, Tasty Donuts was out of the original Buttermilk donut, but they did have the same version, rolled in cinnamon sugar crumbs. No problemo Ben, your Dessert Darling can still detect if these donuts are winners or not! Mmmmm, I completely see where Ben was coming from! The FLAVOR, the buttermilk FLAVOR is the secret ingredient to success here. 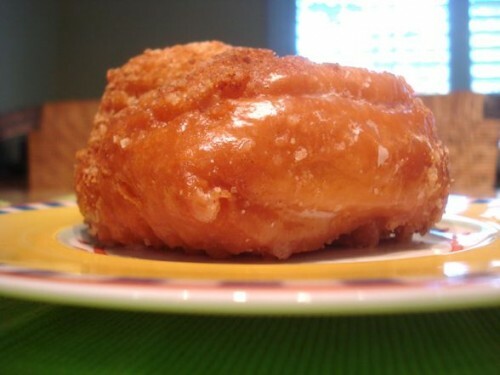 The slightly sour and creamy ingredient helps balance the intense sweetness that’s intrinsic in a glazed donut. It’s such a soothing, sweet, and buttery taste, that you can’t help but continue monching on the thing, no matter how large or dense it is! Which leads me to, Yes, these are large and dense donuts, but the glaze seeps through, keeping them joyfully moist and delightful for every bite. Your best plan is to share with a friend! In the window, these well-groomed cupcakes look deliciously inviting. I bought a vanilla/vanilla with white sprinkles and a carrot cake: these different options yielded varying results. Vanilla/Vanilla: The dense vanilla cupcake let me down. The slightly bland icing needed more vanilla, less sugar. The cake was a bit dry and the topping didn’t really work here. With so many sprinkles piled on, they made for a very crispy experience..like biting into a cookie, rather than a cupcake. The sprinkles also gave off a bit of a waxy, store-bought flavor. 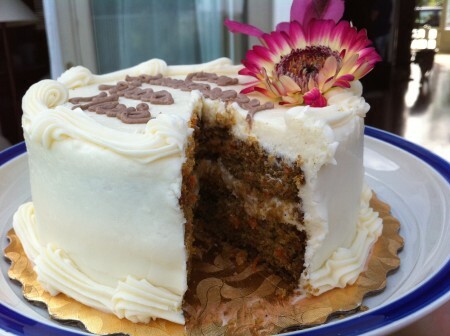 Carrot Cake: Mmmm, Now we’re talking! This little moist cup of cake loaded with flavorful frosting melts in your mouth. If they toned down the salt and amped up the spice a bit, this treat could be a 5-cherry cupcake! For more info on Joan’s on Third, click here. Frosted Cupcakery is a darling corner shop off of the heavily trafficked Highland Blvd in Hollywood. The displayed cupcakes look stylish and delicious and they don’t disappoint once they melt in your mouth. Yes, these cupcakes melt in your mouth. Perfect cake, perfect icing.. a first rate cupcake all around! My only hesitation was that the strawberry was slightly zingy for my tastes. That said, it was made with fresh strawberries in both the cake and icing (Love that!) and was the server’s favorite, so to each her own. 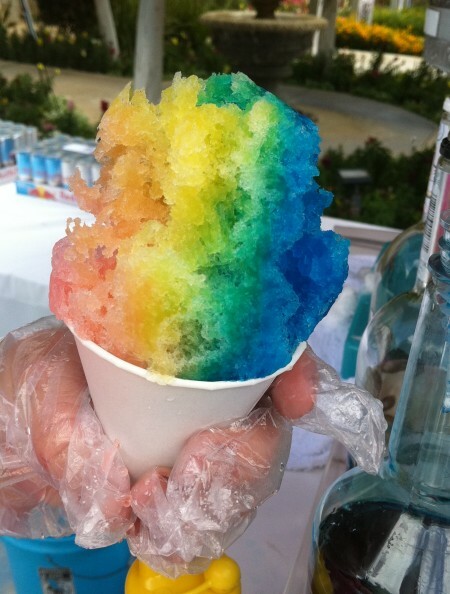 For more info on Frosted Cupcakery and their other locations, click here. It’s kind of hard to mess up ice cream, yet somehow my beloved TJ’s has managed to do so. I’m a little perplexed since the ingredients are basic enough with the added bonus of dairy that’s free of growth hormones (a Must). That said, their vanilla ice cream is a bit icy and unamazing. In just two bites I was putting it back in the fridge. No bueno. 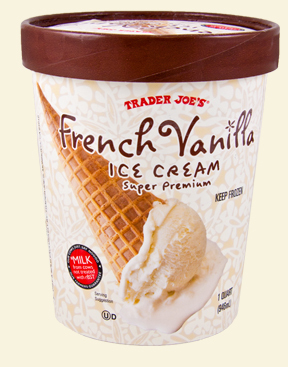 The culprit must be the use of vanilla flavor and not Real vanilla. The 2012 GOLDEN CHERRY AWARDS for BEST DESSERTS! Another great year of sumptuous desserts has come to a conclusion. Below are the stand-out desserts of 2012 that made me ooh, awe, and roll my eyes back into a heaven. Tah-Dah! Those are your top desserts of 2012. 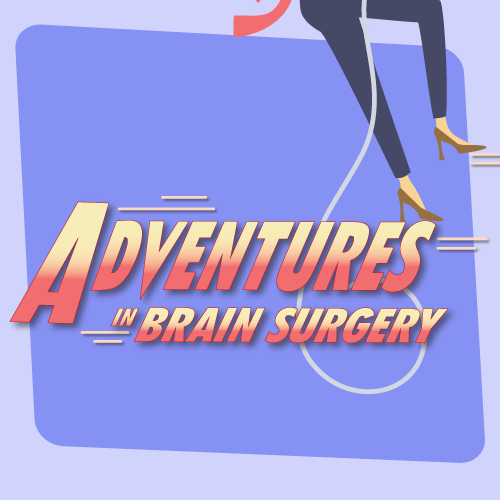 I will say, I slowed down a little on my dessert consumption when I had brain surgery and then launched Healthy Darling! 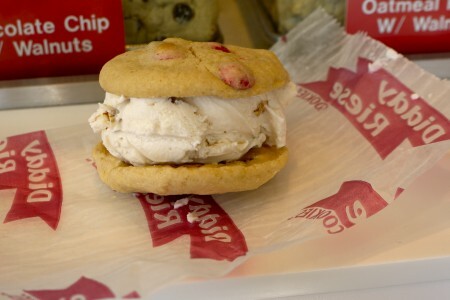 To see last year’s Golden Cherry Awards and the best sweets of 2011, click here.